Moving to any new country to pursue your education can seem like a daunting task. If you are a Thai student who is planning to expand your horizons by studying in Bengaluru, India, there are plenty of reasons for you to choose that path. 1. India is the world’s largest democracy. It has a booming economy among the developing nations, with the industry body Confederation of Indian Industry (CII) forecasting that India will sustain a GDP growth of around 7.5 per cent in 2019. It also has a varied and fascinating culture, with innumerable languages, traditions, customs and festivals. The world has always turned towards India for its highly evolved political, spiritual, and philosophical treatises dating back several centuries. 2. The Indian education system is adapting to technological advancements and global educational trends like never before. A student’s development is approached holistically, with emphasis on their individual strengths, interests and challenges. Experiential learning, scientifically designed curricula, sports and meaningful extra-curricular activities are incorporated into the schooling process. It is well placed to provide for students coming in from Thailand. 3. Existing colleges offer a very high quality of education in multiple streams including arts, commerce, law, medicine, engineering, pure sciences and more. These institutions are respected all over the world. There are several emerging institutions for higher education, which will further heighten the bar for quality. Premier Indian colleges offer degrees at a much more reasonable cost than popular educational destinations. 5. Bengaluru is one of the most cost effective cities for expats to live in. It has an existing and thriving expat community of people from over 80 countries. Bengaluru has been known as a welcoming and cosmopolitan city. 6. English is spoken by a large part of the population and is the common language for business and trade. Many people speak multiple languages. 7. Bengaluru has a pleasant climate throughout the year, with an overall average of 23.6-degree C, that is loved by many people. 8. Bengaluru is very easily accessible from Bangkok via direct flights from Indigo, Air India and Thai airways, with a flight duration of 3 hours and 50 minutes approx. Bengaluru is extremely well connected through Bengaluru Metro rail and 24/7 cab services. International Airport connectivity is unparalleled. Railway stations and bus stands are centrally located. It is also a hub for the finest cuisine from all over the world. 9. Bangalore has some of the best colleges in the country for science, commerce, law, engineering, arts and more: Indian Institute of Science, MS Ramaiah College of Arts, Science and Commerce, NLSIU, St. Joseph's College of Commerce, Indian Institute of Management, Mount Carmel College, CMRIT, RV College of Engineering, Christ University, Jain University, PES Institute of Technology, BMS College of Engineering, Bangalore Medical College, Kempegowda Institute of Medical Sciences, M.E.S College, UVCE, National Degree College, Dayananda Sagar University, and many more. 10. Bengaluru is a thriving hub of industry and IT. It is a preferred destination for job seekers and a great place to build your career. It is home to established companies as well as a hub for start-ups. Cisco, Oracle, IBM, Wipro, Microsoft, Accenture, Infosys, SAP, Samsung, Amazon, Dell, Robert Bosch, Intel, Adobe, Goldman Sachs, Huawei, Nokia, EY, AMD, VMWare, JP Morgan, Mercedes-Benz, NetApp, Target, GE, ABB, Philips and more. 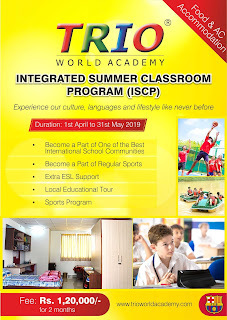 TRIO World School is an award-winning international school, highly ranked among the schools in Bengaluru and Karnataka. With more than 11 years of carefully cultivated expertise in international education, it has established a strong presence in the education sphere. TRIO is a harmonious community, that has served students from 55+ countries and teachers from all over the world! Trio welcomes every student, including those from Thailand, as one of its own, into its multicultural and inclusive family. Internationally respected curricula International Baccalaureate (IB) Primary Years Programme (PYP), Cambridge Secondary 1, IGCSE and IB Diploma Programme (DP) are offered with university placement support. We provide flexibility and support for our students to ensure that they learn best. · Multiple cuisines, including Thai, Chinese, Continental and Indian served daily. · Comfortable Air Conditioned Boarding facilities with 2 to 3 sharing. · Both Vegetarian and Non-Vegetarian food are provided. · Sport and extra-curricular activities taught by highly trained professionals. The TRIO Integrated Summer Classroom Program (ISCP), is a summer only designed for students from outside India. It is a unique opportunity to undergo the full-fledged international school experience in a short period of time. It lets you experience the Indian culture, languages and lifestyle like never before. As a student, you will be a part of the regular schooling schedule, and cutting edge sporting programmes. You will also be provided with extra ESL support and local educational tours. Food and AC accommodation will be provided. The programme is from 1 April 2019 to 31 May 2019. For more details, get in touch with us. What is the one thing that can help your child succeed? Without a doubt – if there is one thing that can ensure success – it is confidence. But where does confidence come from? Confidence cannot be pasted on to a child by constantly telling her/him “You are amazing”. A child who knows he/she is not worthy of the praise being heaped on by his/her parents – begins to feel hollow and becomes pompous and arrogant. Confidence emerges out of achievements. A child becomes confident by pushing boundaries and proving his/her ability to achieve by overcoming challenges. Our words and actions as parents – have a huge role in developing our children’s confidence. Of course we love our children. But we must tell them that we love them every day. We must let them know that we love them for who they are and not what they achieve. When a child knows that he/she will be loved regardless of how he/she performs – it gives the child the confidence to attempt new things and keep trying until he/she succeeds. Every child is different. Every child succeeds at different things and every child succeeds differently. Celebrate your child’s successes without comparing him/her to others. Teach your child to be curious – to delight in everyday things – to be open to changes and differences. The journey towards success is stressful if you don’t love every little thing about your life. And it can be an exciting enjoyable ride if you learn to love and enjoy the small things in life. A child who tries to succeed – will invariably fail several times before he succeeds. These failures can be very disappointing unless children have been taught to be grateful for everything – including the opportunity and ability to try. Being able to say no to peer pressure is an extremely important part of success. And those children who have watched their parents firmly say no to them when the family rules demanded a “no”, will be able to say no with much greater ease than others. A confident mind can only live in a fit body and sports enhances physical fitness. Sports also teaches children how to set goals and improve and achieve them. Sports also teaches teamwork and the ability to gracefully handle and overcome defeat. Children look at themselves through our eyes – and so it is extremely important to praise children. But it is important to be realistic when you praise. Always praise the effort, but don't gush unrealistically over the results. To succeed – children must be able to accept negative feedback and constructive criticism without getting crushed. In the end – all of us estimate ourselves based on how well we are liked by others. When a child knows that he/she is a likeable person – when a child knows that he/she can easily find friends in an new setting – it builds his/her confidence. Help your child to be kind and empathetic so that others like her. But teach him/her also how to be self-assertive and maintain an inner core of self-belief. To bring up a confident child – our aim should be – to build a solid wall of confidence that cannot be knocked down by the blows of failure. This wall must be built – one brick at a time – every time we interact with our child. Dr Debmita Dutta is a practising doctor, a Parenting consultant and the founder of the website www.whatparentsask.com ( https://whatparentsask.com/ ) a video based website that provides expert answers to parenting questions. She is based in Bangalore and conducts Parenting workshops and prenatal classes for pregnant parents in addition to her medical practice. She believes that parenting stress can be relieved significantly when parents are well informed about their children’s growing brains and bodies. Mathematics is a pivotal part of our lives. Even a person with an absolute dread for the subject will use it throughout his/her life! The alarm that wakes you up, the time taken by the school bus, school grades and running race timings, all involve math. When classroom mathematics becomes all about plugging numbers into a formula or following a fixed series of steps, it can lead to boredom, lack of curiosity and drastically reduce the thirst for learning. Prolific mathematician GH Hardy quoted A mathematician, like a painter or a poet, is a maker of patterns. He also said, Beauty is the first test. There is no permanent place in the world for ugly mathematics. Traditional mathematics, taught in the classrooms, may not approach the subject this way. We at Trio World School, Bangalore, believe in putting thought and effort into approaching mathematics more creatively, so that it cultivates curiosity and reduces apprehension among students. At Trio World School, our ICSE wing, we have created frameworks for laying a strong foundation for mathematics and language. We are an ICSEschool, with a difference. We encourage children and teachers to creatively explore mathematical concepts. We integrate math with other subjects including art. A topic on arrays had Rangoli as a part of the lesson. For a topic on measurement, the entire unit on volume, perimeter and area was taught through measuring different objects inside the classroom, as a team, and presented in class. Trio, in collaboration with Scholastic, introduced the ALPHA Math programme to the ICSE school. Scholastic ALPHA Mathematics combines the learning practices and teaching methodologies from nations that are performing at the highest level in math education. The Alpha math programme is being implemented by more than 50 countries and is tailored to the needs of the Indian curricula. Each chapter is taught over several lessons, with each lesson focusing on a topic. · Let’s Learn introduces the concept using the Concrete-Pictorial-Abstract approach. · Let’s Do provides guided practice and formative assessment. At the end of each chapter, students are given a problem-solving lesson to consolidate learning. We explicitly follow the four-step UPAC (UNDERSTAND, PLAN, ANSWER AND CHECK) process, which builds good problem-solving habits. A checklist accompanies every word problem to reinforce the four-step process. The next stage of creative math education at our ICSE school was giving students the opportunity to learn math through a hands-on approach. The math lab gives them an environment that that lets them explore and realise mathematical ideas. We encourage them to make connections with various mathematical experiences and do not constrain them to any particular lessons. The math lab values the students’ individuality, and varied strategies. Multiple outcomes are encouraged, with emphasis on creative representation of their findings. This helps them develop a spirit of enquiry and confidence in their own mathematical abilities. · It helps students visualize, manipulate and reason. · It provides an opportunity to understand and internalize the basic mathematical concepts through concrete objects and situations. · It enables students to verify or discover several geometrical properties and facts using models or by paper cutting and folding technique. · It helps the students build interest and confidence in learning the subject. · It provides an opportunity to exhibit the relatedness of mathematical concepts with everyday life. · It provides greater scope for individual participation in the process of learning and becoming autonomous learners. · It provides scope for greater involvement of both the mind and the hands which facilitate cognition. · It allows and encourages students to think, discuss with each other and the teacher and assimilate concepts in a more effective manner. · It enables the teacher to demonstrate, explain and reinforce abstract mathematical ideas by using concrete objects, models, charts, graphs, pictures, posters etc. 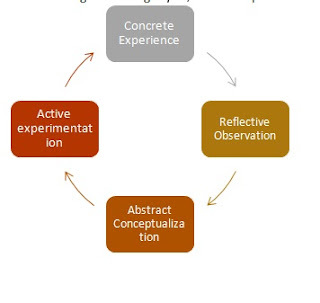 · The Concrete-Pictorial-Abstract Approach develops deep conceptual understanding. · Students learn to make connections between physical materials, visual representations and mathematical symbols. · Gaining mastery involves concept development and understanding mathematical relationships. · Students learn to inquire, communicate, reason, conceptualize, formulate and solve problems. · Developing problem solving skills addresses both the process and the method of solving problems. · Students learn to use different strategies and solve problems effectively and confidently. The next aspect of ICSE math teaching is the MINDSPARK programme, that enhances the process of learning even further. Mindspark is a computer-based, interactive and self-adaptive learning programme. The programme comprises of math based problem sets, quizzes, games, and activities. Each of these are accompanied by precise explanations. · Builds computational fluency and provides for effective evaluation, thus helping in remediation. Teachers are given professional development courses throughout the year to help them implement these aspects of the programme effectively.